RUSSIA – It’s a sad morning. At the dawn of Tuesday, April, 4 the entire Nation mourns 14 deads because of two explosions at two metro stations of St. Petersburg. Actually, the bombs had to be three, but one was unexploded. A 22-year-old Kirghiz kamikaze allegedly is the only responsible for this mess and the previous suspected man has been released. Russian President, Vladimir Putin, is in the city at the moment and three days of national mourning have been declared. An explosion happened at the metro station in St Petersburg, Russian media report. 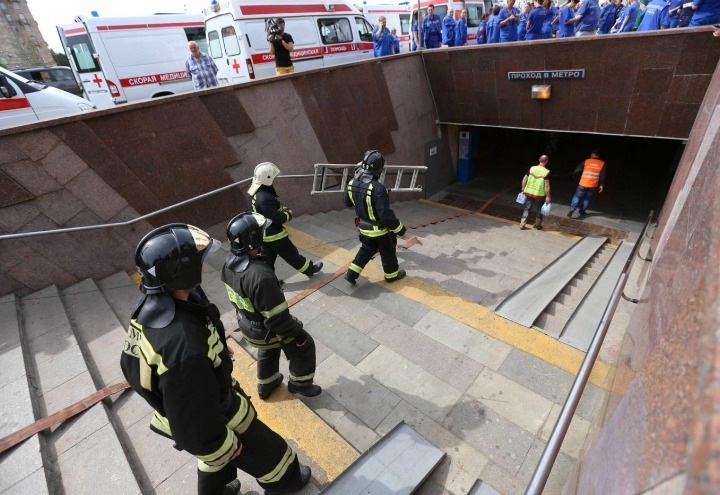 The Tass and Interfax agencies reported an unknown blast at the Sennaya Ploshchad underground station left some victims. Images posted on social media showed a train carriage with its doors blown out and damages inside. The Russian President Vladimir Putin, who is in the city now, has been informed, Russian media say.